Sometimes, when you got it, you just got it. and Jason Cyrus, well, he definitely has it. He has been called “the most electrifying hypnotist on the planet” and his show has been referred to as “the most entertaining hypnosis show you will ever see”. But how did a kid from small town New Brunswick come to be one of the best hypnotists in the world? Let’s go back a bit. Cyrus notes that “even as a young child, I always loved magic. I loved the power of the mind and the control that people can have over it.” His father would often bring him to see hypnotists and magicians, leaving him impressed with what they could do, and fascinated with the world of magic. He began putting on his own magic acts, and was entertaining people from a very young age. Even as a kid, he was always a huge hit at parties. Like many Canadian children, he was also involved in hockey, and he possessed enough talent to make a Junior A hockey team in Ontario. One night at a private party, he saw a hypnotist perform, and he just knew it was something he wanted to do. Subsequently, all of his free time was soon taken up either learning all about hypnosis or playing hockey. He eventually went to college for business and marketing, but the jobs he found after graduating were less then fulfilling. He decided to go with his gut and pursue a life long dream of becoming certified as a hypnotist. He completed the program through the International Hypnosis Association, and after finishing his hours of study, he became a member of the National Guild of Hypnotists. He began to tour theatres in Atlantic Canada, and everyone was soon all a buzz about his unique act. 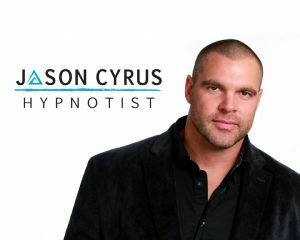 In addition to his live shows, Cyrus also opened a clinical hypnotherapy office, which offers a variety of services to his clients, including helping to eliminate bad habits, promote physical and emotional wellness and develop new skills, among many other things. His isn’t a hypnotism show where participants are made to do embarrassing or degrading things while on stage. As Cyrus says, the whole show is “very family friendly, and no volunteer is left being disrespected.” As a result, people are often clamoring to be on stage at Cyrus’s live shows. And if you think you can’t be hypnotized, think again, as Cyrus notes, “if you wake up in the morning and go to sleep at night, you can be hypnotized.” It’s all just a matter of trust. 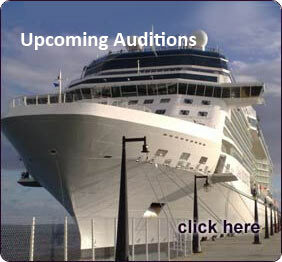 This entry was posted in Entertainers, Hypnotists on by Ian Brock.